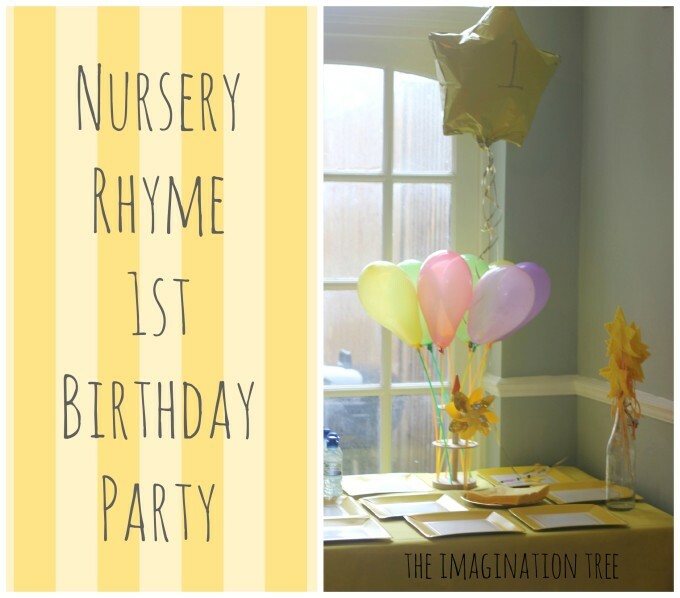 Our theme for baby Bean’s 1st birthday party was all about her favourite nursery rhymes and familiar songs and was lots of fun to prepare and age appropriate for all her little baby and toddler guests who attended! When baby Bean turned one earlier this year we had a little get together with our regular Mums and tots group in our home and celebrated with a Nursery Rhyme and Favourite Songs party, with lots of playful activities set up for them to engage in independently while we drank our coffee and enjoyed some cake! 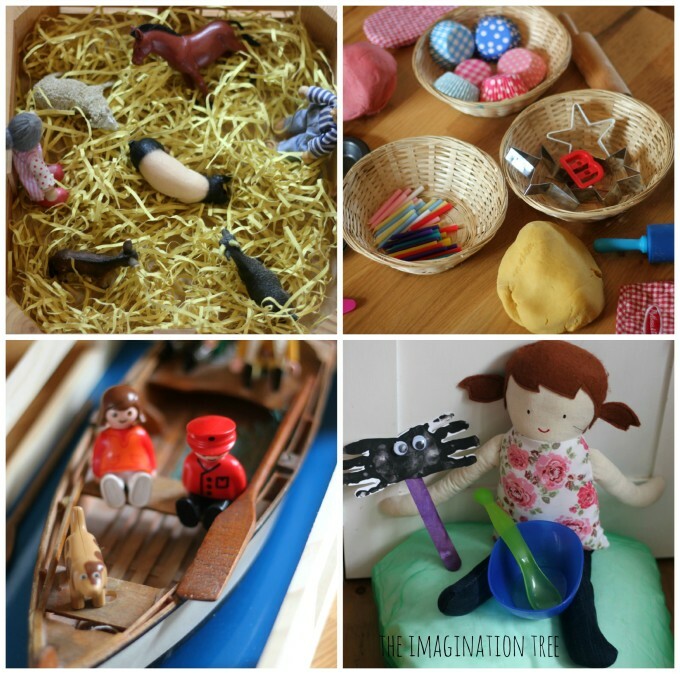 I set out some play activities around the downstairs of our home for them to find and play with, and hopefully sing along to as they did so. 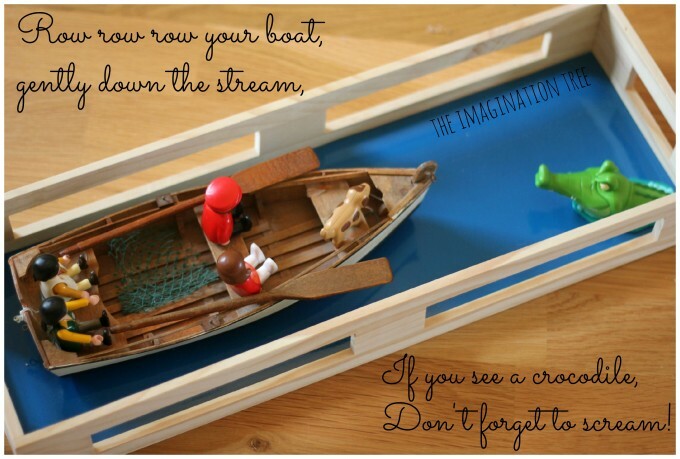 In a long packaging box I placed a toy wooden boat, some passengers and a crocodile for singing the song with props. On the table I set out some baskets with strawberry and vanilla play dough (using our super easy 4 minute no-cook recipe here), and baskets full of muffin cases, cookie cutters and candles for making and decorating cakes with. 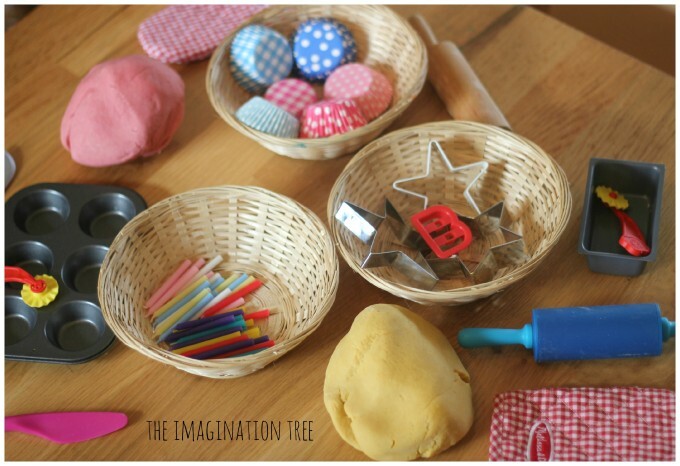 There was also a letter B for “marking with B”, and little trays for pretending to put it in the oven with too! 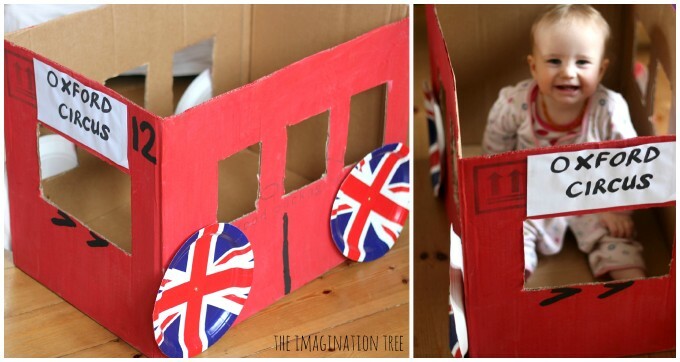 I painted a large cardboard box with red paint, with the big girls’ help, and added some markings to turn it into a number 12 London bus! Then we added some Union Jack paper plates as wheels using split pins and cut out some windows to turn it into a play bus to sing inside. This could probably have sufficed as Bean’s birthday pressie as she loved it! 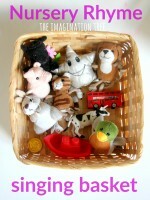 I filled a wooden tray with shredded yellow paper to represent straw, then added some toy farm animals and some farmers to the mix, ready for singing and playing through each verse of the song using the little props to help! We simply covered a cushion with a green play silk to become the tuffet, then added a doll to become Miss Muffet, a little bowl and spoon and a handprint spreader that we made previously. 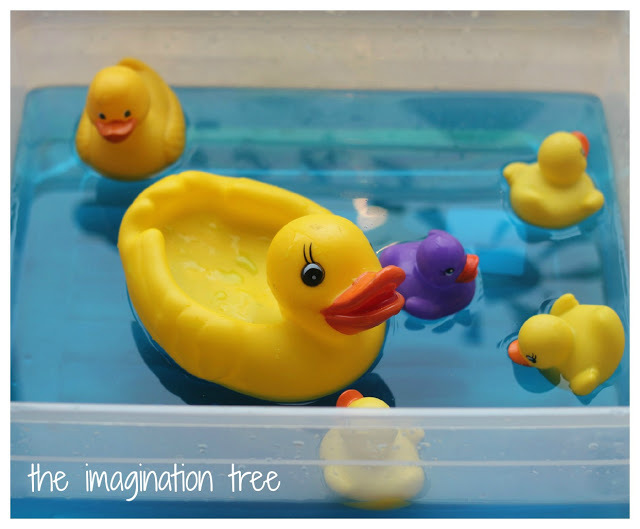 In a water tray we had a 5 Little Ducks play scene, with repositionable window pictures behind it. Read the full post about this activity here. 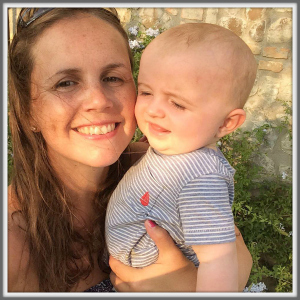 After a free play time we gathered them altogether on our laps and had a sing along, singing through all of the nursery rhymes and favourites songs from the morning and many more! We did lots of hand clapping and actions with some other favourites such as Wind the Bobbin up, Sleeping Bunnies, Zoom Zoom Zoom and Wide Wide as the Ocean. 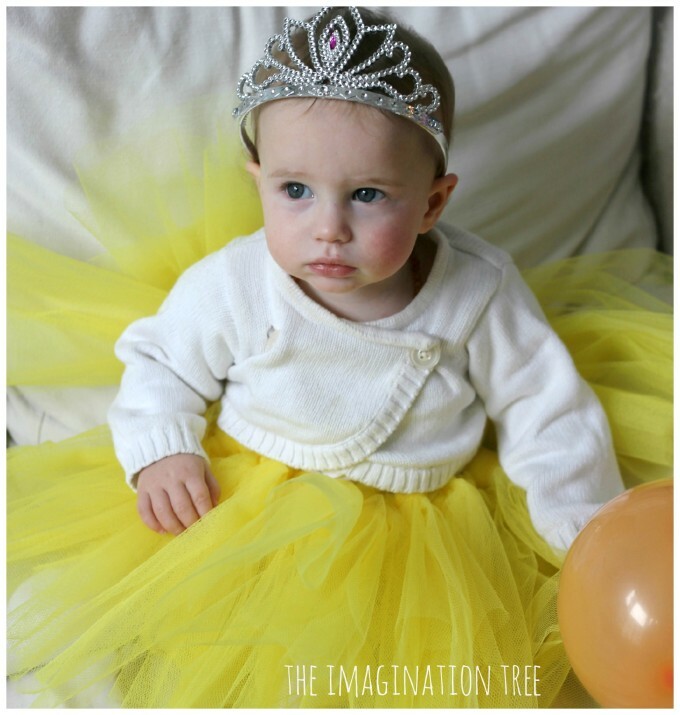 Birthday girl wore a homemade twinkle star tutu (see our previous easy no-sew tutu tutorial here) and looked quite adorable (she had just woken up to find all her guests waiting for her in this picture, aww!) She had a fabulous time and insisted on wearing the tiara herself! 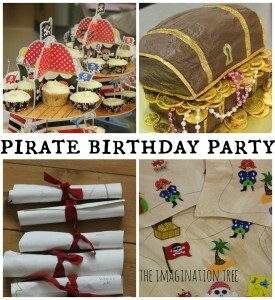 We LOVE playful birthday parties! 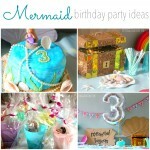 See ALL our other Birthday Party themes that we have done over the past 4 years here! 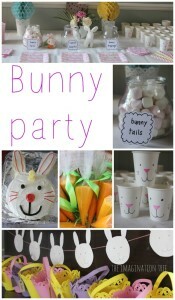 Or jump straight to another 1st birthday party with a rainbow theme here! I don’t know how you do all that you do, but you are hugely inspiring. 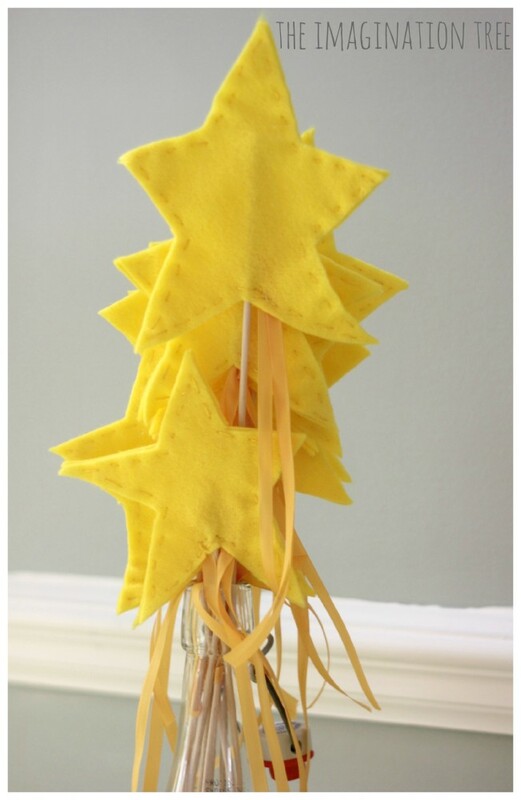 Such fun ideas. Thank you for your blog and your emails. I love them! 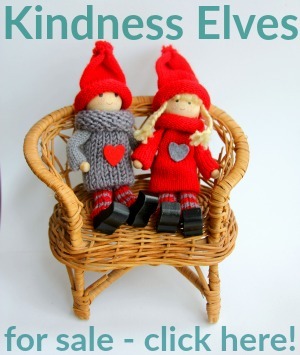 this is so much fun – thanks for sharing! 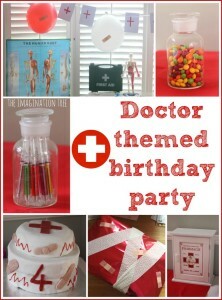 Fantastic idea, Happy Birthday to Poppy! What a fantastic idea! I love all the details. Such fun! Oh the joys the babies at that party would have had with all those different toys.